International Workshop "Modern Nanotechnologies" - IWMN-2015 was held on 27-29 August 2015 with the support of Ural Federal University, NT-MDT, Intertech Corporation and Labfer LTD.
More than 80 participants from 11 countries: Russia, China, Latvia, Switzerland, France, Poland, Brazil, Germany, Portugal, Slovenia and Kazakhstan and from 12 cities of Russia: Moscow, St. Petersburg, Krasnoyarsk, Chelyabinsk, Pushchino, Kazan, Rostov-on-Don, Tomsk, Tver, Perm, Novosibirsk and Ekaterinburg attended the workshop. International Conference PFM-2014 was organized by Labfer Ltd and Ural Federal University from July 14 to July 17, 2014 in Ekaterinburg, Russia. Labfer Ltd took part in the 21st LASER World of PHOTONICS in Munich from May 13 – 16, 2013. Thanks to all participants that visited our stand! We are glad to inform that Labfer Ltd took part in the 8th Edition of the International Specialized Exhibition for Laser, Optical and Optoelectronic Technologies – PHOTONICS. WORLD OF LASERS AND OPTICS'2013 in Moscow , March 25-27, 2013. 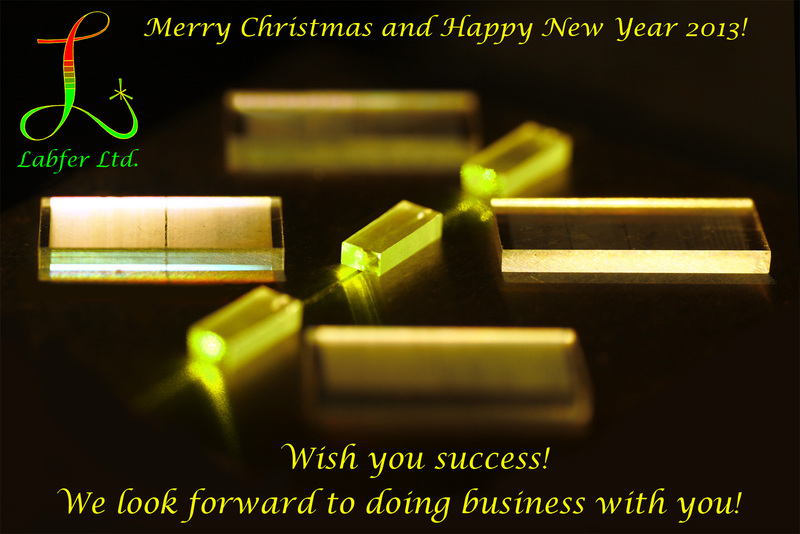 Season’s Greetings and Best Wishes in the New Year 2013! 9th Optics Valley of China International Optoelectronic Exposition and 5th International Photonics and Optoelectronics Meetings (POEM 2012) held in Wuhan from November 2 - 5, 2012. Labfer Ltd takes part in both: Conference and Exposition. Labfer Ltd. took part in organization of Joint ISFD - 11th - RCBJSF Symposium (the 11th International Symposium on Ferroic Domains and Micro- to Nanoscopic Structures (ISFD) and the 11th Russia/CIS/Baltic/Japan Symposium on Ferroelectricity (RCBJSF)) which was held on August 20-24 in Ekaterinburg.